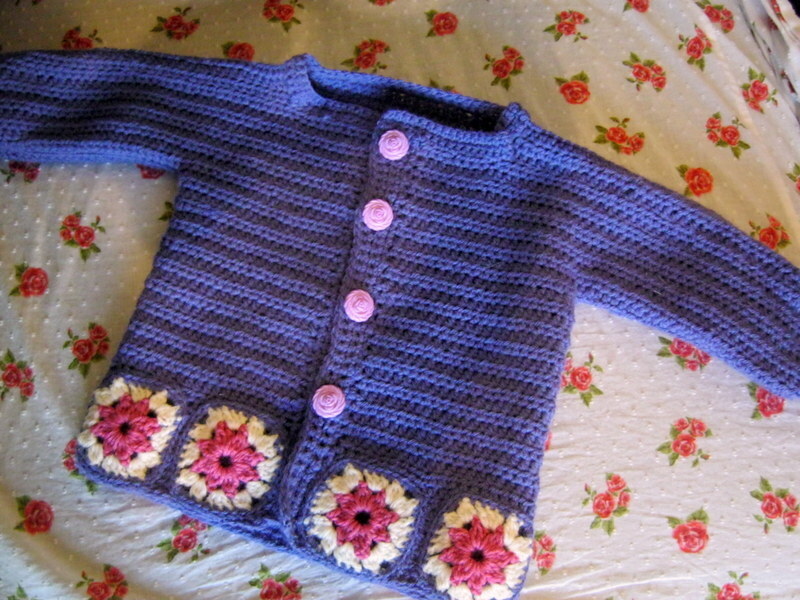 Last week you may remember that I showed you tow cardigans that I was making for Little Miss. Well I managed to finished one of them. 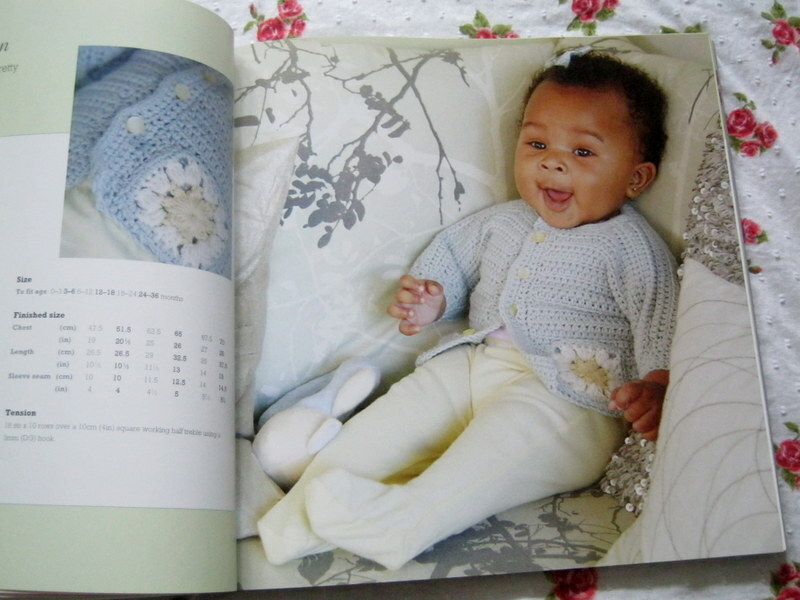 I took the pattern from this book (Cute and Easy Crocheted Baby Clothes) and enjoyed crocheting my first cardigan. Would you like to see the end result? Here it is. I made the little squares for the pocket detail and then decided that they would look nice along the bottom, so I made a couple more and sewed them on. I really like the result. Little Miss looks great in it. It’s funny actually because this is the cardigan that wasn’t meant to be. I don’t mean that there was any strange force stopping make it, more I hadn’t planned to make it. It wasn’t on my list of things to make from the book (yes I have a list) and the wool was originally meant to be for Little Man. I had ordered him some wool to make a jumper and when it arrived, it was more purple than it had looked in the picture. It was sad but I put it aside for a rainy day and forgot about it. 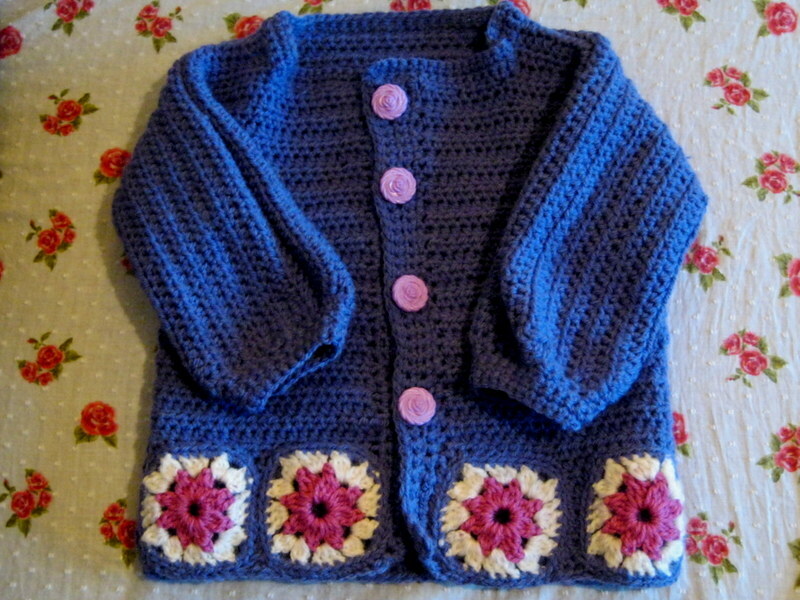 Then I realised that Little Miss needed something and quickly so I thought about crocheting a cardigan (crochet is often a lot quicker than knitting). When going through my stash, I found this wool and it was exactly the right amount. I was also able to use the pink wool which I had been saving for something special. Now I just need to finish cardigan number two….